Garry's Mod , that wonderful physics sandbox of posable characters doing very silly things, has done rather well since attaching a $10 price for its tomfoolery back in 2006. Last December, GMod passed the milestone of 2 million copies sold , an accomplishment made possible by word-of-mouth and creator Garry Newman's regular feature updates. Responding to a fan's question in a blofg post , Newman reveals the mod accrued an astounding $22 million over seven years, but he also says taxes took large bites out of the monstrous moneydollar amount. "Over seven years, GMod has made about $22 million dollars," he writes. "We get less than half of that though. The tax man gets a bunch of that. Then when we take money out of the company, the tax man gets a bunch of that too." A Google Image search for " Garry's Mod tax man " sadly doesn't provide an appropriate response image for Newman's achievement, instead showing a balloon chair, ponies, and a Teletubby mugging a Companion Cube. Wait, what am I saying? They're all appropriate. As for the future of Garry's Mod and what's next for Newman and the rest of his team at developer Facepunch Studios, Newman lines up a few upcoming features in the works. "Hopefully, we're gonna get the Linux version out," he says. "Then hopefully we'll move to SteamPipe, and I'll get the NextBot stuff hooked up. Then I want to do another Gamemode Contest. But I want to knock out a bunch of gamemode creating tutorials first to help people get their foot in the door." 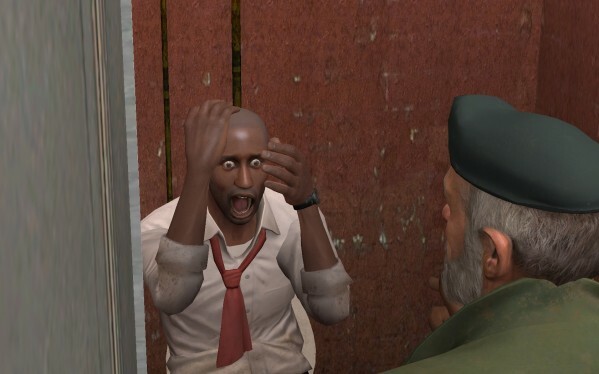 By the way, if you're leery of plopping down a Hamilton for a constantly updated playground of imagination (" Garry's Mod what are you thinking " in Google), you can grab the old-but-free Garry's Mod 9 from Mod DB .